..wouldn’t have it any other way..
Yeah sometimes it’s me moving to another bed to make room. Ah hah – I see you have met my Bed time Bassets. At 6.5 lbs Dexter uses about 2/3 of the Q-size bed and then growls if I accidentally brush up against him. This made me laugh out loud like a lunatic on a nyc train!! 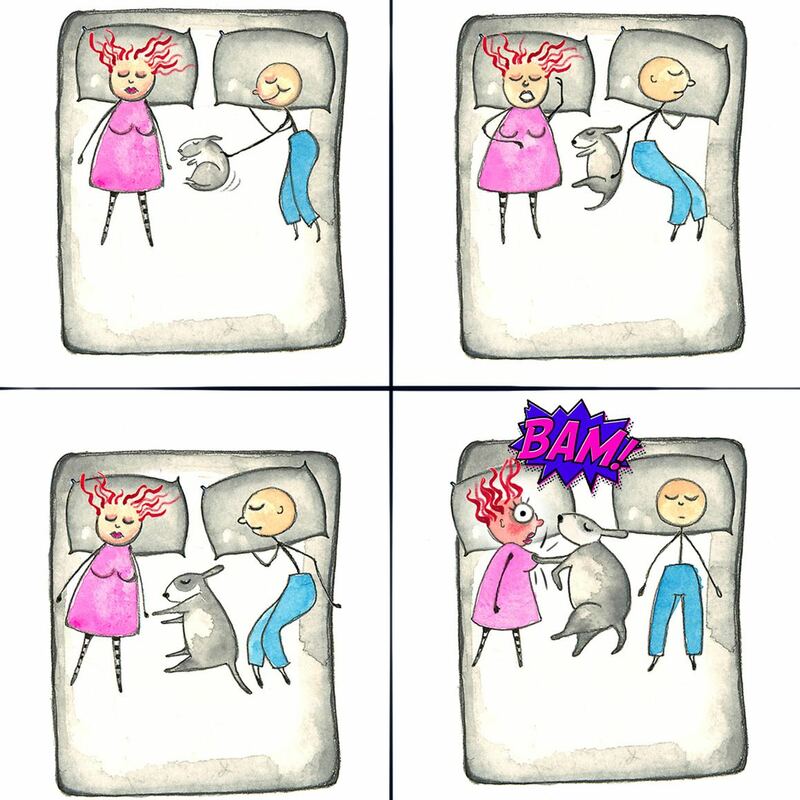 This is SO me with my pittie bed-hog!